When night falls, streets go dark and people are on the move to return back home. But when you look closely there are some purple lights shining back at you, the Greenhouse restaurant is shining in the distance. Walking to the light, you start to see its true colors; an urban farm lit by grow lights. In the heart of the Netherlands lies a restaurant with a story to tell. 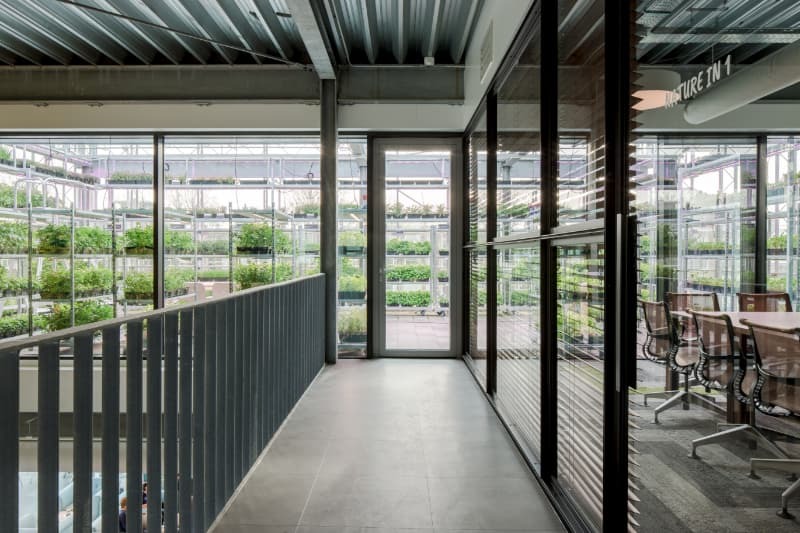 The Green House, located next to Utrecht central station, incorporates diverse functions: a restaurant for 150 people, flexi-meeting rooms, an urban farm, an outside terrace and an outside edible garden that are distributed over two floors. 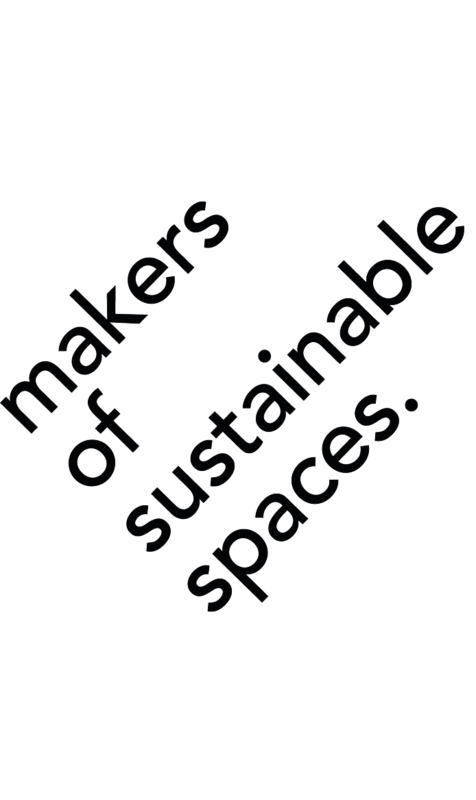 With MOSS and our sister company HRBS, we designed and developed the urban farm and outside herbs garden. 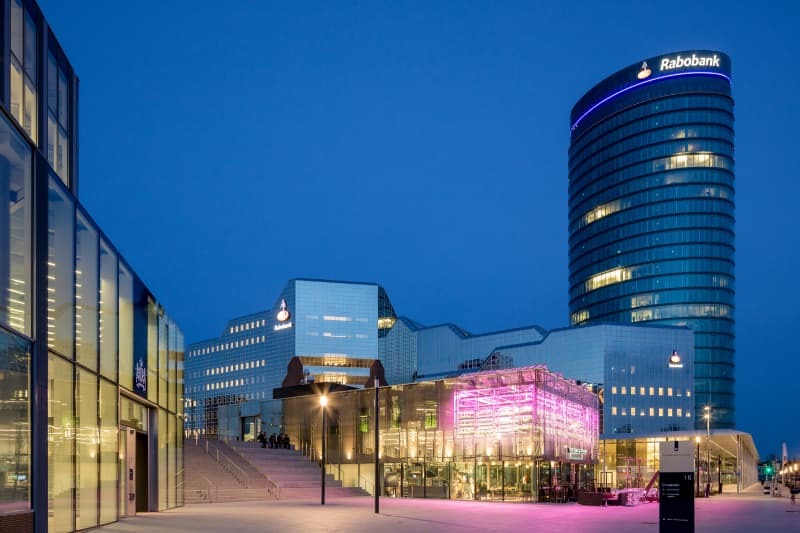 This building is a one-of-a-kind since it is built entirely for circularity, which is even seen in the architecture that is completely dismountable and built of reclaimed materials of the former KnoopKazerne, a building previously located on the same grounds of The Green House. Fifteen years from its construction date, the Green House will be dismantled and built up elsewhere. 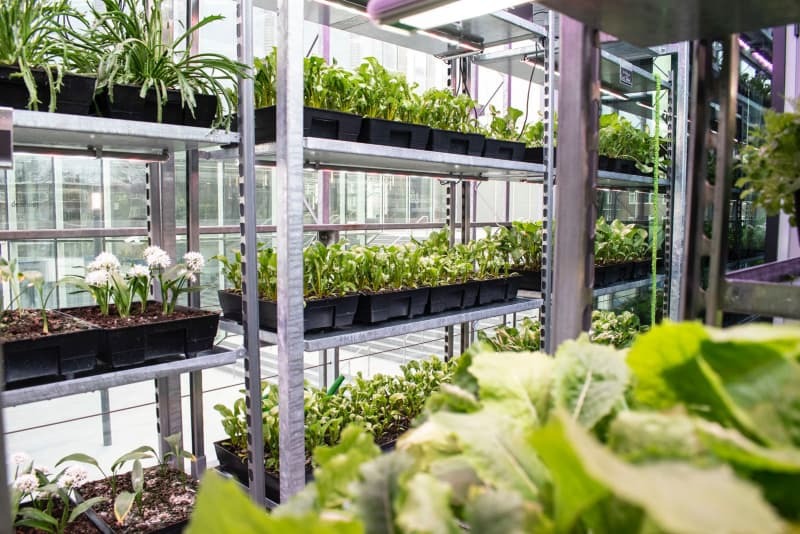 What’s most striking is the publicly accessible urban farm – a greenhouse of 80m2 on the upper floor growing crops of HRBS – which is clearly visible from the street side. Here is where vegetables and herbs are harvested to be processed in the meals of The Green House. Harvesting right on site, omitting packaging and refrigeration makes it super fresh and sustainable. Hyper local food and waste reduction are paramount at the Green House. By storing water on the roof and recycling any excess water through the project, water waste is completely absent. To further reduce waste, kitchen waste is composted into organic fertilizer, to recycle nutrients back into the garden. More than 40 crop varieties are grown in the Urban farm and the edible garden, depending on the season. Produce varies from flowers, cresses, herbs and mini vegetables. From small fennels, green sorrel, chervil to basil. 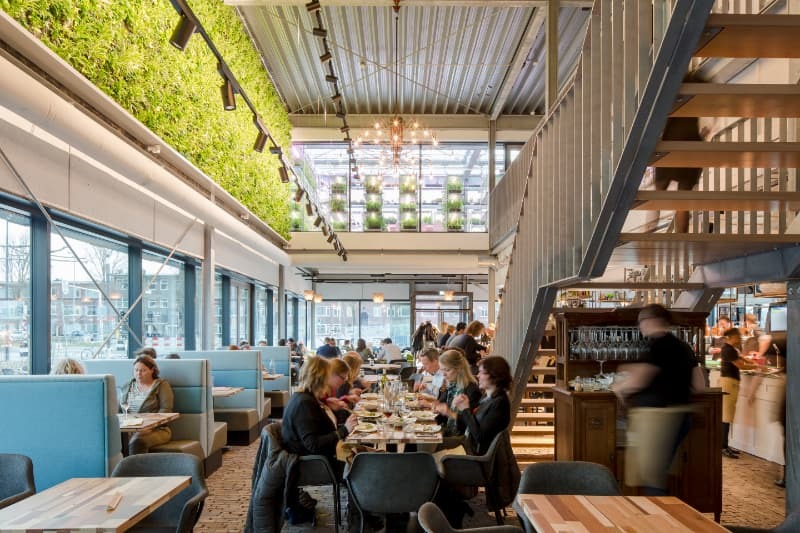 The aim is that 70% of the totally used greens in the restaurant come from the Urban farm. In total this sums up to almost 6 tonnes of edible green a year. The crops are not grown from seed on location. We grows the crops at our grower-partner near the restaurant, and every week we replenish the trays, take them back, wash them, and re-use every last bit. This makes it possible for the chefs of The Green House to use fresh crops, without the burden and difficulties of growing. And this makes it possible for us to re-use valuable materials, like soil and the re-usable tray. Light: Waterproof, multi-layer grow lights with dimmer and colour control unit. Water: Automated drip irrigation in the urban farm and a waterfloor of h=85mm in the edible garden. Both are sourced by harvested rainwater. Substrate: 10 cm within the HRBS tray. Type of plants: over 40 types of edible crops. The carts in the urban farm are categorized from A to Z, making it easy for us to keep track of the exact locations of the different crops. For every alphabetical letter we use, we link it to a well-known botanist from the early days. For example: H stands for Alexander von Humboldt. Do you know who he is? Paying for the use of the crops, actually means they do not own anything within the urban farm. This is only possible once you have an innovative and long-term cooperation between the partners involved. Next time you’re in Utrecht, be sure to stop by the Green House Restaurant yourself. You can check out the farm upstairs, and enjoy a purely deliciously local meal in the heart of the Netherlands.